A superior Eye Gel formulation provides an intense Three Step Repair System to firm, lighten and smooth the skin surrounding the delicate eye area. Containing powerful ingredients of Eyeliss and Haloxyl. This intensive Eye Complex has been clinically proven to reduce under eye bags by 70% and lighten under eye circles by 60% with regular use. Boosts collagen to smooth fine lines and wrinkles. Noticeably reduces the appearance of fine lines and dehydration. Soothing Green Tea extracts and Aloe Vera help lighten pigmentation and evens out skin tone around the eye area. APPLICATION : Apply to freshly cleansed and toned skin. Pump a small amount onto fingertips and softly pat around the eye area, working in gently, until absorbed. Do not apply directly onto eyelid. For extra nourishment, can be applied under Pelactiv Eye Contour Perfecting Cream. 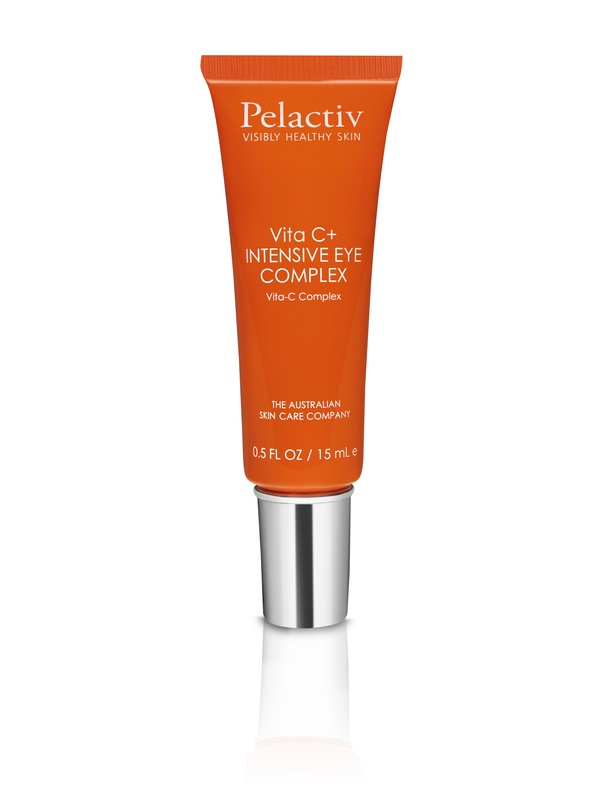 Be the first to review “Vita C+ Intensive Eye Complex” Click here to cancel reply.